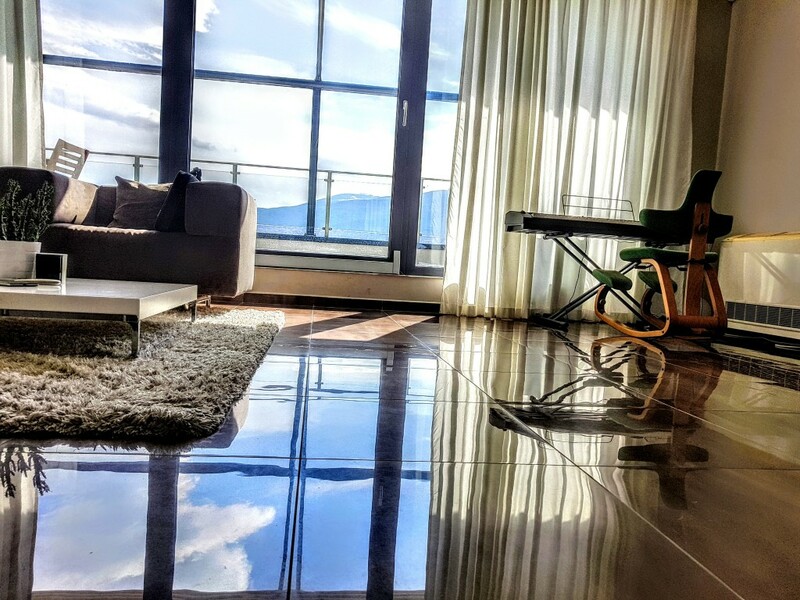 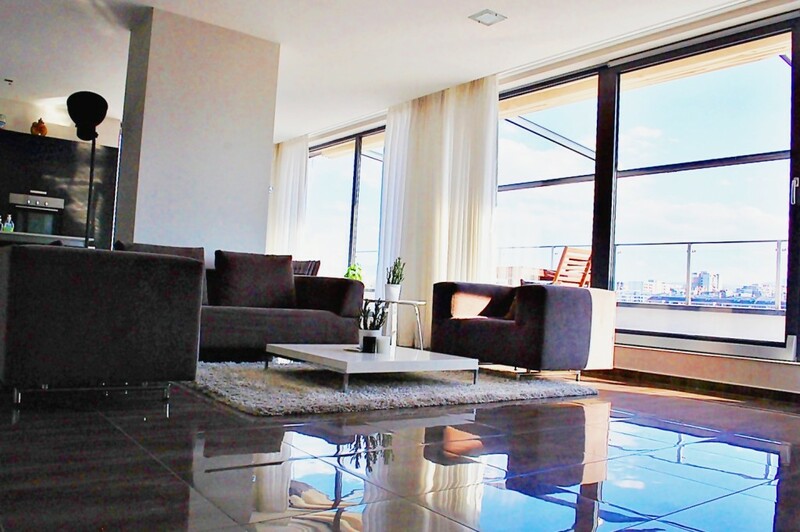 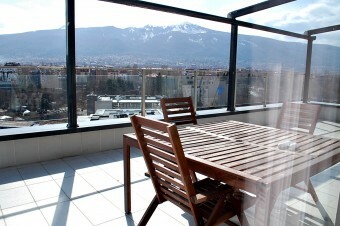 Description: Brain Trust offers for sale a panoramic, extremely stylish apartment in Vitosha area. 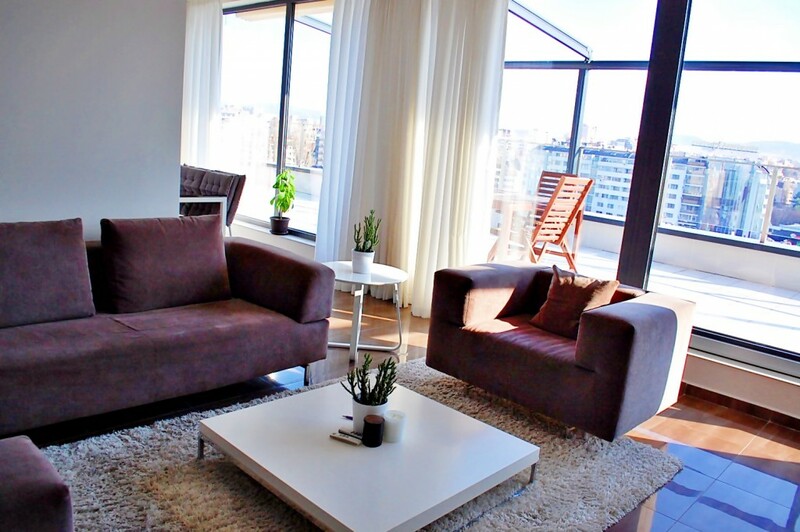 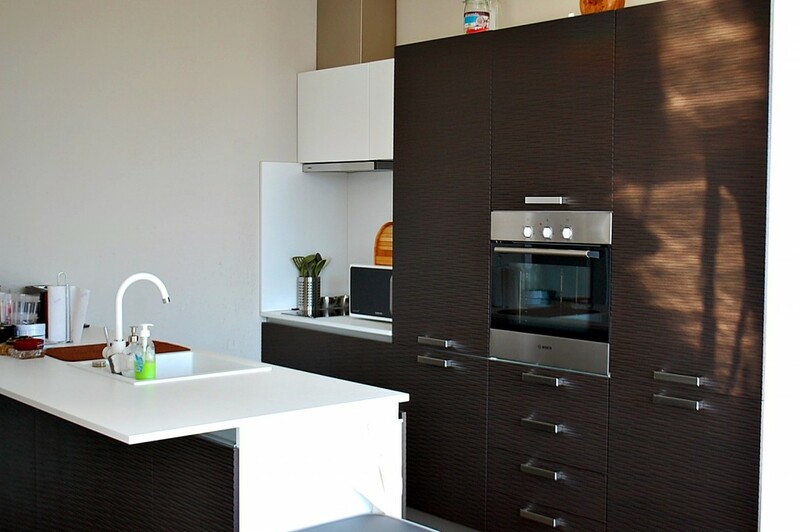 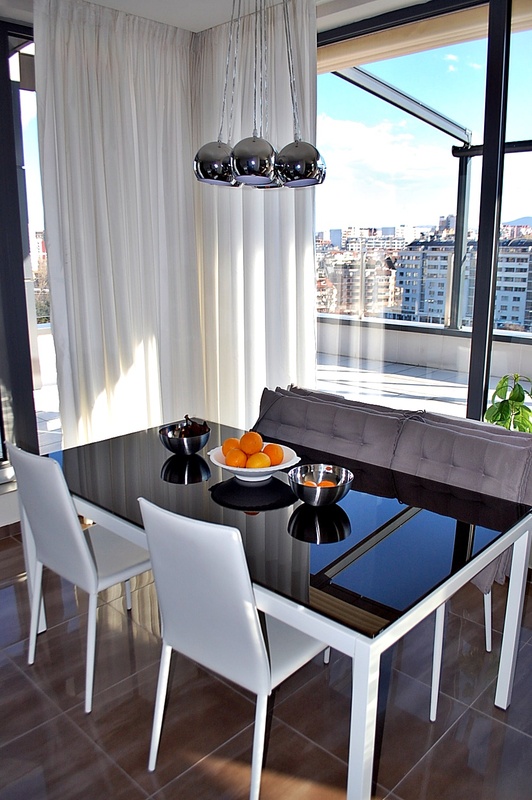 The apartment is offered fully equipped with appliances and furniture of highest class. 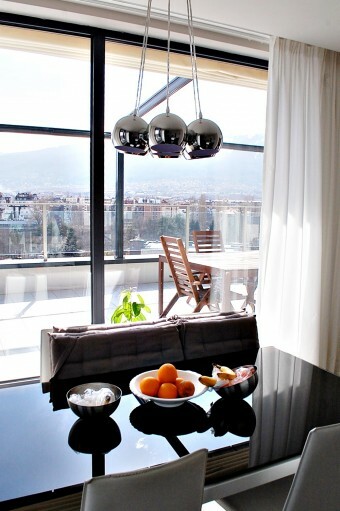 Layout: The apartment has a spacious living room with French windows, a view to Vitosha mountain, three bedrooms, two bathrooms, a laundry room, and a closet. 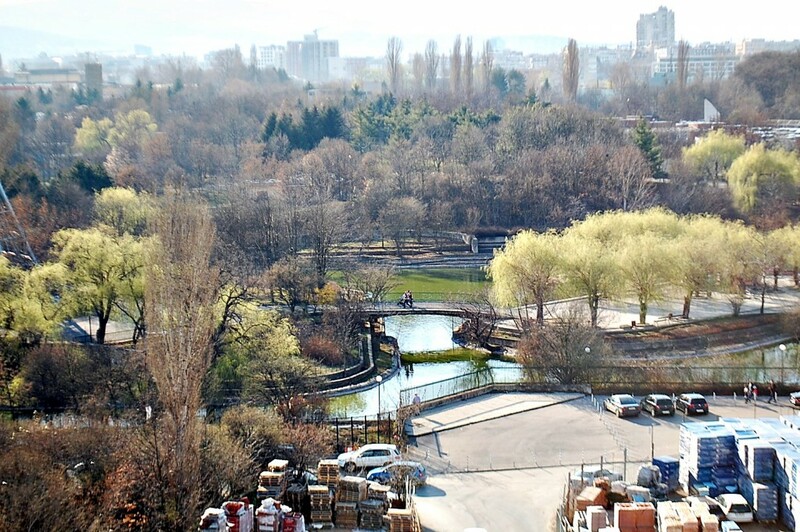 There is a lovely terrace, which offers a 360-degree panorama of the mountain, Sofia and a green park. 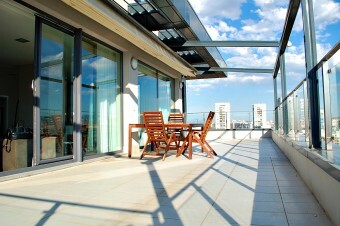 There are awnings mounted on part of the terrace, which automatically close upon rain or snow. The kitchen has built-in appliances and dining area. There is also spacious living area. 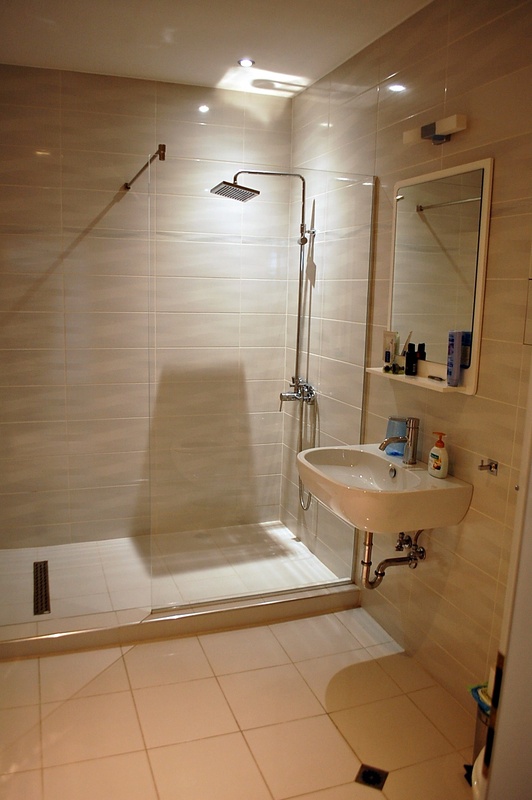 The master bedroom has its own bathroom and closet. 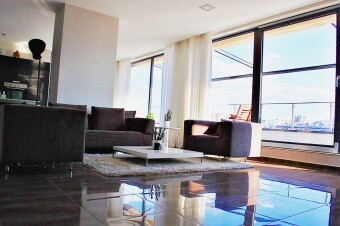 The apartment has security system and a chiller system. 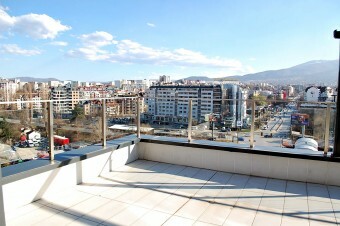 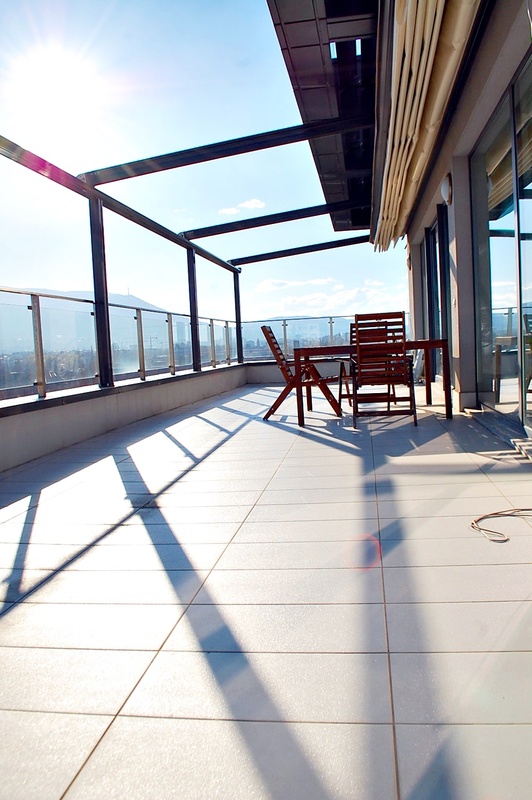 The property has a total living area of 165 sq.m., the terrace has an area of 181sq.m. There is a possibility to buy parking spaces in the underground garage of the building.